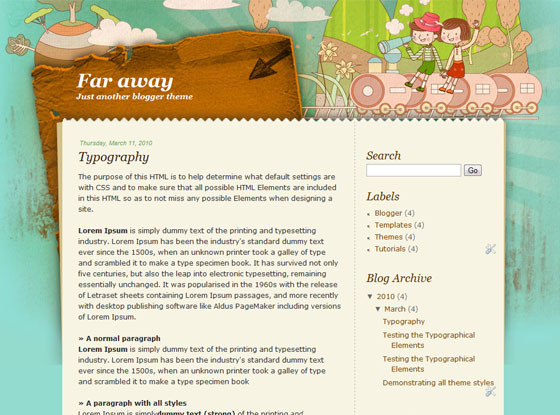 Far away is a blogger theme that I converted from a WP theme.This blogger theme suits best for kid’s blogs and for other personal blogs. cane nk ltak niey kat blog kte?? thanks!! this is now my lay out! Nice themes ,its beautiful and cool. thanks for your themes,very nice good for all! Is it possbile for me to add a simple menu bar at the top? How can I do it? how to apply this theme on my blog?